Set within 4 acres here at our activity centre in Porthcawl, only 20 mins from Cardiff, our muddy assault course is perfect for Team Building, youth groups and stag activities in the Cardiff, Swansea and South Wales. Our assault course is certainly tough and making it to the end is a huge achievement. Are you the next Ninja Warrior? 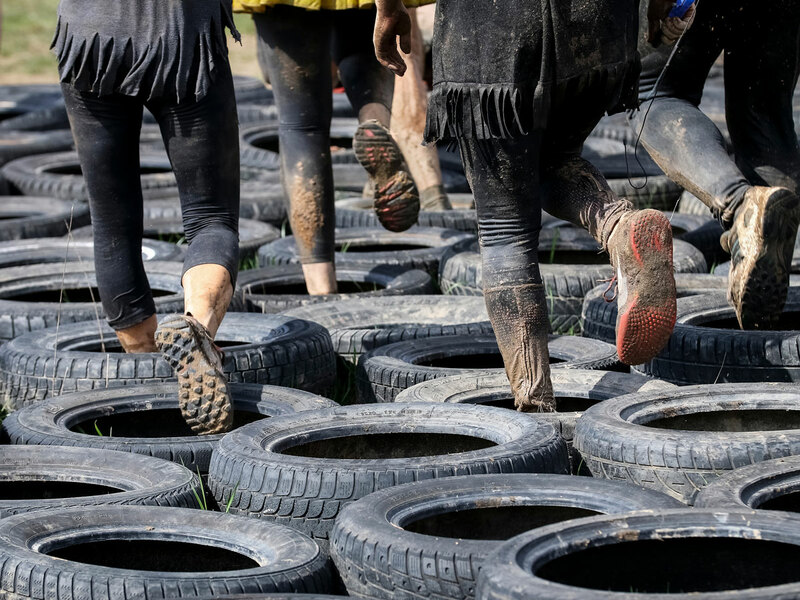 Tackle a wide range of over 20 challenging obstacles such as Tyre Runs, Monkey Bars, Muddy Crawls, Vertical Walls, as well as our famous Tyre Maze and much more, testing your ability to run, jump, crawl and problem solve. Our New Ninja style obstacle assault course also referred to as a ‘military style assault course’ or muddy obstacle course has been designed as a real challenge and offers a great training venue for those groups seeking to do ‘Tough Mudder’ and ‘Spartan’ events in and around Cardiff. It’s also just great fun running around in the mud with your friends or colleagues. We are proud owners of one of the best military style assault course near Cardiff in South Wales. Remember we’re only 20 mins from both Cardiff City centre and Swansea, making us ideal for stag events. – Find out more. Experience the thrills of a muddy team challenge that has all the military assault style obstacles to test you within our dedicated assault course. Our Muddy assault course is popular with stag groups and birthday parties in Cardiff. Whats Included in the Assault Course? Old clothing is highly advised. You will get very muddy on our assault course! Situated only 20 mins from Cardiff and Swansea and just 2 mins off the M4 motorway! Are you looking for the best Assault Course in Cardiff? 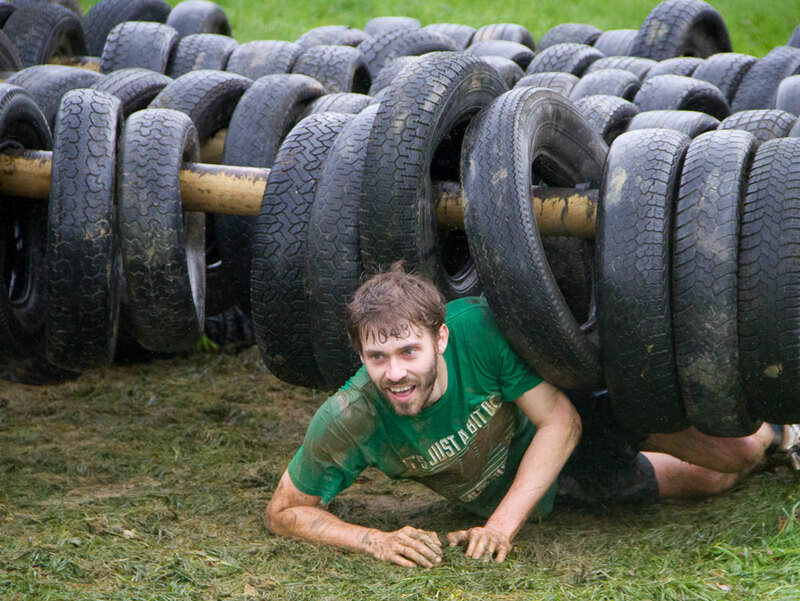 Our muddy obstacle course near Cardiff is an assault course that everyone, no matter their ability, can take part in! Our Tough Mudder style assault course is heaps of fun and will have you in hysterics, rolling around in the mud, literally! Our obstacle course is only a few miles outside Cardiff, but for the likes of a Hen Party or Stag Do, its the perfect activity for a day to remember before you hit the pubs and clubs in Cardiff City. If you are having a stag do or hen party in Cardiff, you could combine several of our outdoor activities for a jam packed day. You could do the Cardiff obstacle course in the morning, followed by a surfing lesson, or paint-balling in the afternoon. Give our Cardiff sales team a call and we’ll help you book your memorable day out.